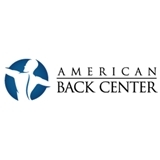 American Back Center (Chicago) - Book Appointment Online! Guided by a Functional Medicine approach – the core philosophy of healthcare at American Back Center – our chiropractors will often combine their specialized knowledge with that of other healthcare professions (such as osteopathic, medical and physical therapy) to get at the root cause of your problem before recommending a treatment plan. We don’t just treat your symptoms; we treat you as a whole person. As part of our comprehensive care program, we also provide you with nutritional, dietary and lifestyle counseling to ensure your symptoms don’t return – and to maintain a healthier, more balanced lifestyle. The American Back Center offers a range of specialized treatments that combine chiropractic with other therapies – including pre- and post-natal care. Our chiropractors are also especially trained to treat sports injuries. Very helpful and knows what he is doing.